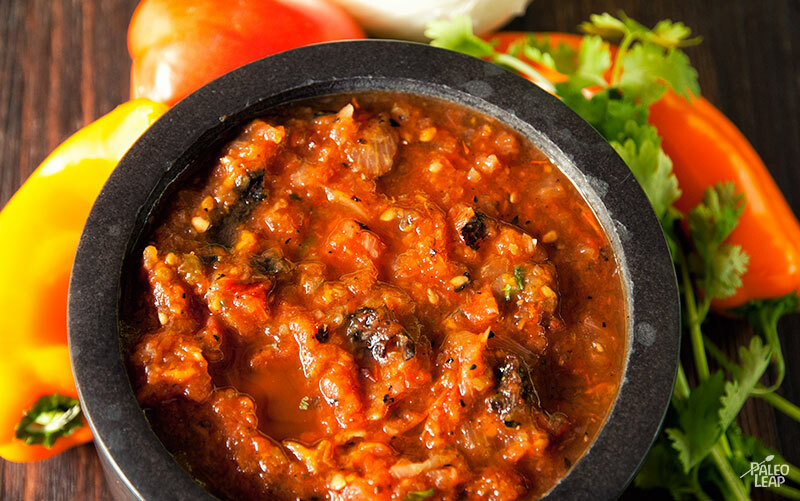 Salsa is a wonderful Paleo-friendly condiment for just about everything: it’s good on salads, burgers, or grilled meat, or just as a dipping sauce for whatever finger-friendly vegetables you like. And the perfect salsa-making season is when tomatoes are at their cheapest and most delicious: in other words, now. It’s not just fresh tomatoes that make this recipe tasty, though. Roasting them brings out even more flavor, and generous amounts of spices, cilantro, and lime juice give you a nice contrast between the heat of the spices and the sweeter flavor of the tomatoes. And then there’s the jalapeno, which you can easily use to turn the spice level up or down. If you want a milder flavor, remove the seeds from the jalapeno before tossing it in the blender. If you like it hot, go ahead and add a second pepper to the mix. Once your salsa is ready, it’s good warm or cold. Eat it on its own, or you could use it to add even more flavor to this recipe for chicken breasts with bacon and salsa. And if you’ve really made more than you can eat yourself, just take advantage of its popularity: a jar of homemade salsa is always a welcome gift, especially if there’s someone in your life who wants to try Paleo but just isn’t sure they’ll like it. A little preview of how delicious real food can be might just be the persuasion they need to give it a shot. 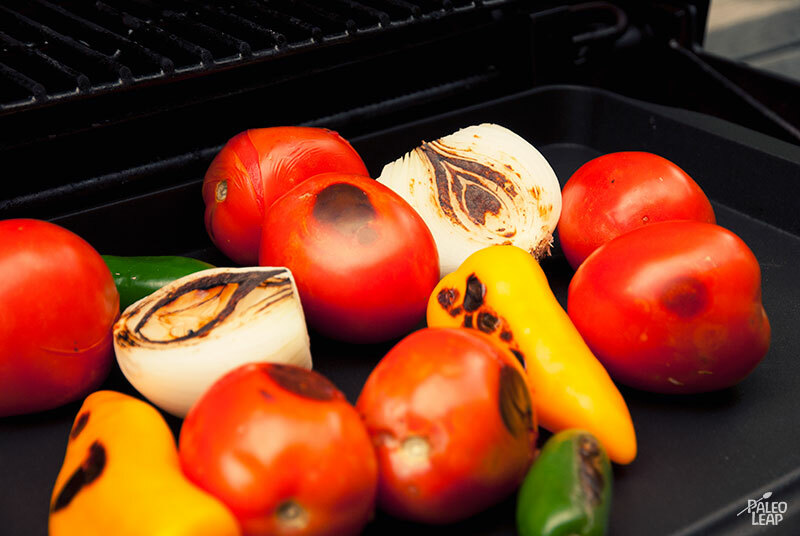 Place the tomatoes, onion, jalapeño, and garlic in a single layer on a baking sheet. Transfer the cooked vegetables to a food processor and pulse until coarsely pureed.